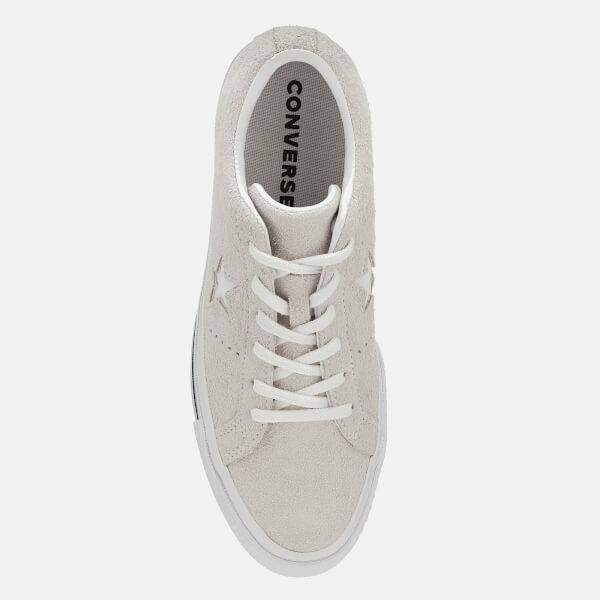 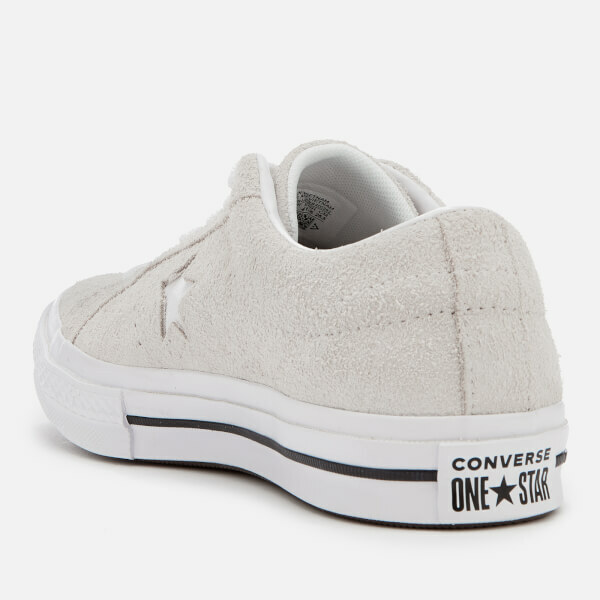 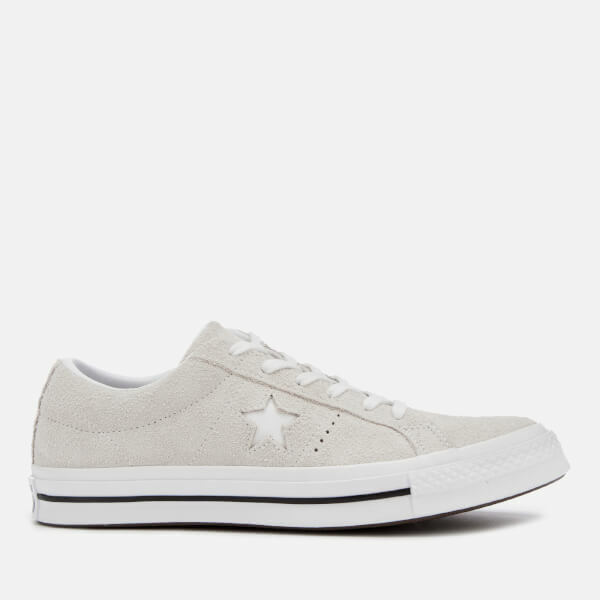 Low top Converse with sleek suede uppers. 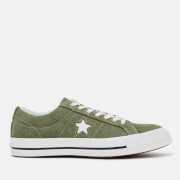 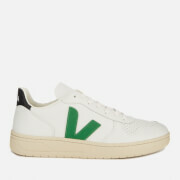 Crafted from green suede with contrast white stitches, the 'One Star' Ox sneakers feature a rounded toe, lace-up fastening and cut-out, canvas star logos to both sides. 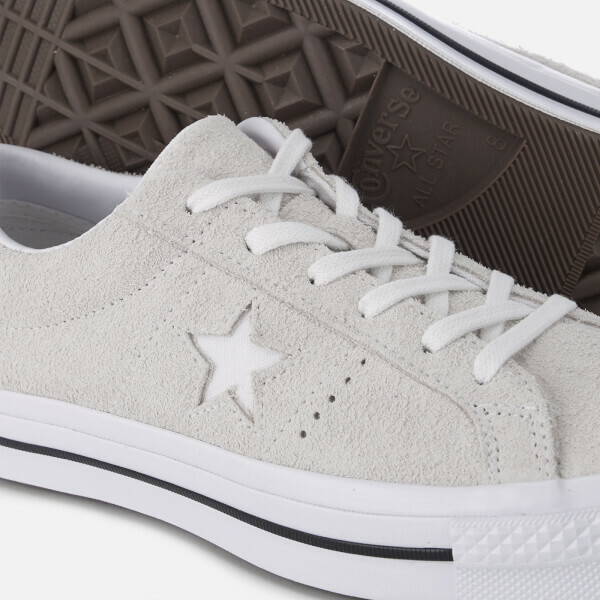 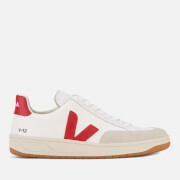 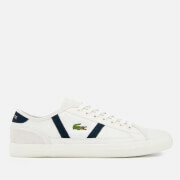 Set upon a durable rubber sole with contrast midsole stripe and heel branding.